There’s something not quite right about Kiveton Park Football Club playing at a school. That isn’t meant to be in the slightest bit disrespectful, it’s merely to highlight the fact that one of the oldest names in South Yorkshire football on the face of it looks to have been on the end of a raw deal. Kiveton Park were formed in 1881, and in 1891 they were the first ever opponents of Chesterfield FC in the Sheffield & District League. They became an established Yorkshire League club in the early Sixties after periods playing in local leagues, and it was while in the Yorkshire League that they had their most successful period. They won promotion to the First Division on more than one occasion (and then quite often went down again! ), lifted the Sheffield & Hallamshire Senior Cup, and become founder members of the Northern Counties East League. They reached Division One of the NCEL in 1986 but ground grading issues at Hard Lane saw them eventually move into the Central Midlands League. The club gained promotion to the Supreme Division but when the colliery closed in 1994, the club went abeyance and didn’t reappear again until 1999, back in the CMFL. The Supreme Division was once again reached but due to a lack of floodlights they were relegated. They won the Sheffield & Hallamshire Association Cup on two occasions and thanks to a split of the CMFL to North and South, they regained the Step 7 status that they previously lost due to the floodlight issue. 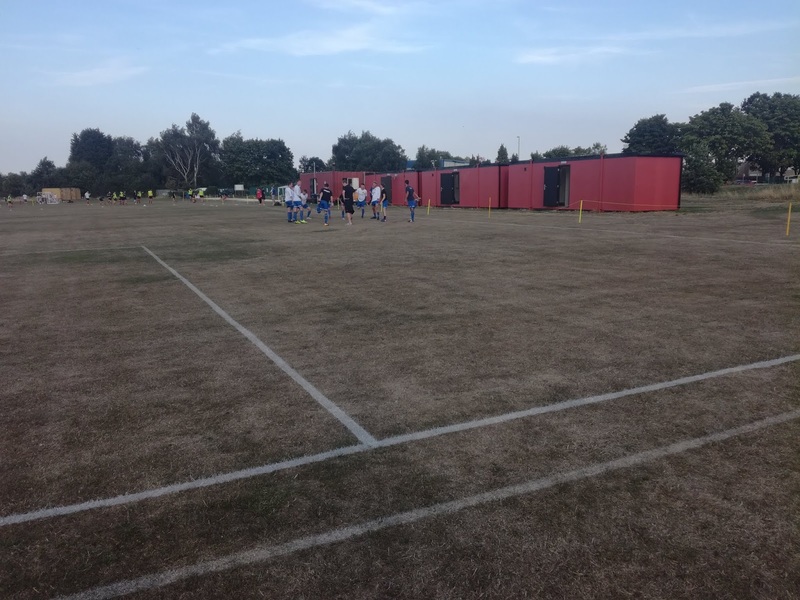 Travel costs proved too much in the CMFL and they then moved to the Sheffield County Senior League in 2013, but within three seasons they had moved from the Hard Lane ground which was owned by CISWO (Coal Industry Social Welfare Organisation). Local residents had begun to complain about the increased parking at the ground, largely due to the clubs multitude of junior sides. Furthermore, to receive grants the club needed to have charitable status, something that wasn’t possible while under the Miners Welfare umbrella. Of course, and perhaps more worryingly for the club, CISWO indicated that they wanted to sell off the ground (like many others they owned) and to facilitate the football clubs departure they imposed a sharp increase in rent which forced the clubs hand somewhat. So, they found a site at Wales High School, around a mile from Hard Lane, and set about putting in some temporary buildings. But, what is perhaps both surprising and galling for the club, is that no sooner had they moved out of Hard Lane, in came Renishaw Rangers, who in turn have developed the facilities. Read into that what you will, no slight on RRFC by the way…….. 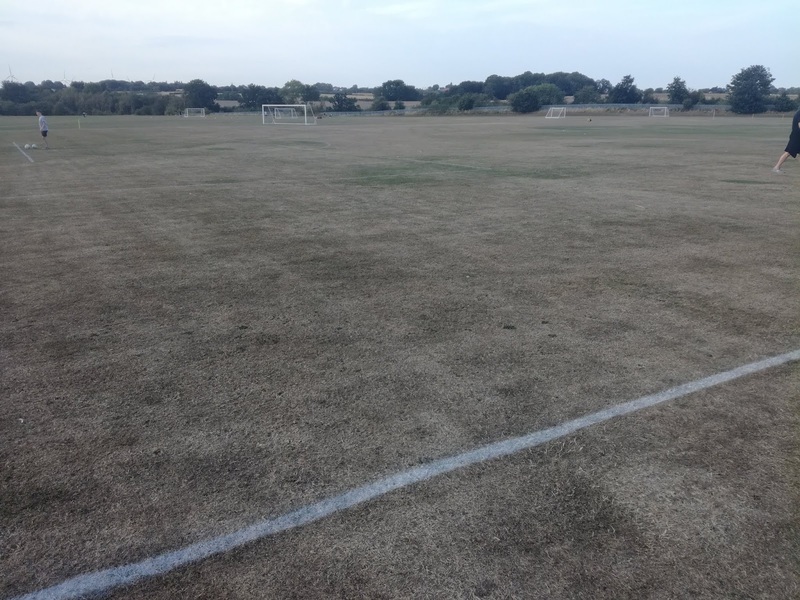 So, plying their trade in the First Division of the County Senior League, last year was far from smooth, and that was largely due to weather and the impact it had on the playing surface. 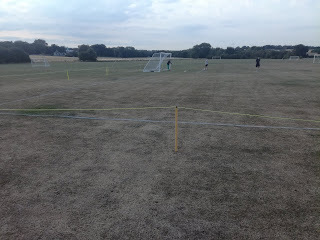 For large periods games had to be played elsewhere as the pitch was simply a bog. I tried on numerous occasions to go and watch a game, but simply couldn’t get to one. But, after commenting on social media last season that they would need significant sums of money to improve the drainage, I can only assume the issue has been resolved, or they are simply praying for better weather? 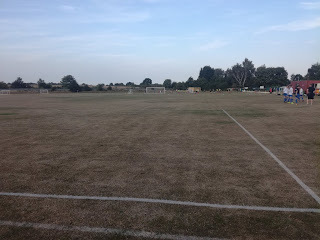 Either way, with a very helpful and active Twitter account, they announced their pre-season games nice and early, and with a guarantee the pitch would be fine, it was as good a time as any to go and have a look. 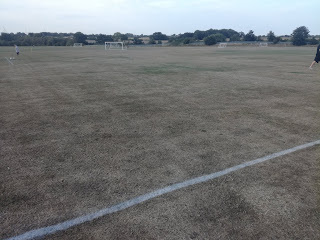 For saying it’s a school pitch, it certainly doesn’t have that feel. 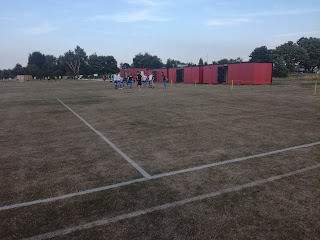 For starters, the pitch is on the opposite side of the road to Wales High School, and the only buildings on the ground are the ones that have been put in place by the football club. 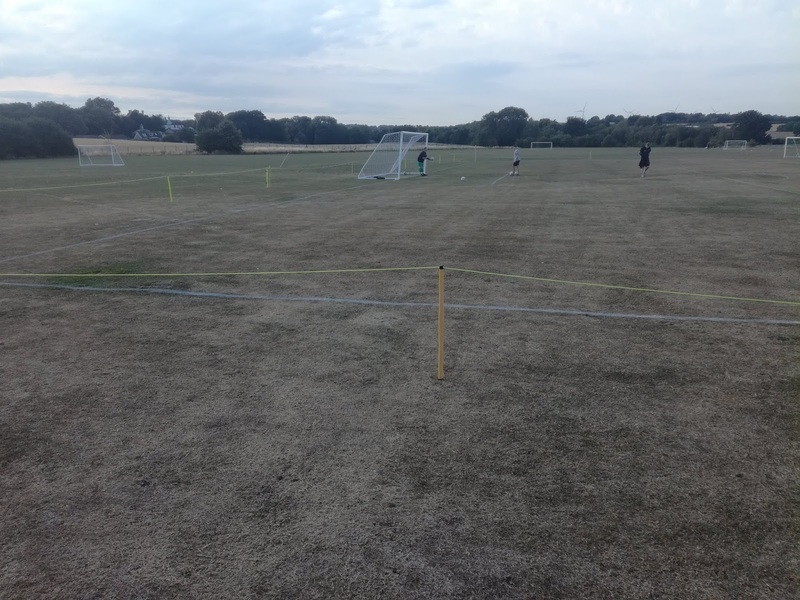 This is certainly not your typical school playing field. 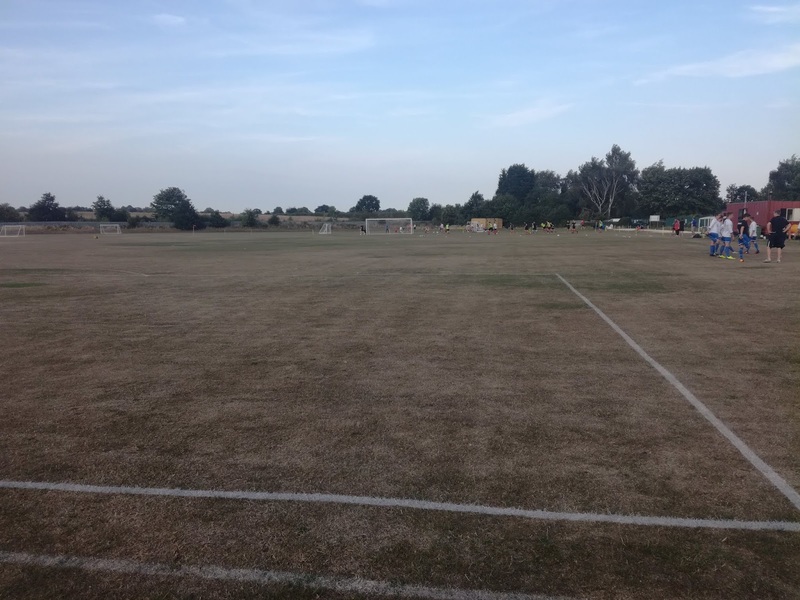 The buildings all sit down one side, containing dressing rooms and a tea bar, while the rest of the ground is simply a roped off pitch, but as it sits at the end of the road that leads to the school, it has a certain rural feel about it as you look out over the landscape. As for the game, well Premier Division Oughtibridge War Memorial were the opponents, and it was the visitors who won the game 1-0, but in fairness there wasn’t an awful lot in it, certainly not in front of goal anyway. Kiveton Park very much see Wales High School as ‘home’ and I think any notion of going back to Hard Lane has been dismissed. The club are gradually trying to develop the facilities and no doubt have designs on achieving Step 7 status via a promotion at the end of the current campaign. It’s a real shame that they’ve had to go down this route though, and for the supporters, how galling must it be to see a cuckoo in what used to be their very own nest? It would have been easy to fold the club and call it a day, but the determined committee and supporters admirably went to great lengths to keep the club alive, and indeed develop and move forward.